The city of Torrevieja and the neighbouring area of Orihuela Costa offer visitors many shopping options from street vendors to huge shopping complexes such as Habaneras Commercial Centre and La Zenia Boulevard. There are certain things to bear in mind when shopping in Torrevieja, and in fact the majority of Spain. Most shops and shopping centres open around 9am and whereas the shopping centres and larger supermarkets stay open all day, most individual shops close at around 2pm-5pm for ”siesta” which has been a long standing tradition in Spain for centuries. In most parts of Spain between 2pm-5pm can be the hottest time of day and many Spanish shop owners take a three hour break then re-open in the early evening when it is cooler. The Habaneras Centre is located on the corner of Av. Rosa Mazón Valero and the CV-905. There are over 60 shops, boutiques, cafes and restaurants where visitors will find a number of well known high street brands as well as the Carrefour Hypermarket that is well stocked and caters for all your grocery needs. Just across from Habaneras is the popular Ozone Leisure Centre with family favourites such as 10 pin bowling and a cinema complex. For hungry customers there is a KFC and Subway. La Zenia Boulevard is the largest shopping centre in the province of Alicante and extremely popular with holidaymakers and residents alike. The modern, well designed complex boasts over 150 shops, boutiques, bars, cafes and restaurants that are interspersed with lovely tropical plants and comfortable seating areas. The main shopping level has an entertainment area with a huge TV screen and, especially during the summer months, live music performances. Kids will love the soft play areas with electric sports cars and animals to ride on as well as a mini double decker bus. The restaurant level offers a variety of eateries including 2 tapas restaurants and a Burger King. From this level diners can enjoy the live entertainment below and lovely sea views. Those feeling lucky can visit the Casino Mediterraneo with a selection of gaming machines, roulette and card tables. Unlike the United Kingdom and other European countries, certain products can only be purchased in specialist shops in Spain. Other than a few bars that have cigarette machines, cigarettes and tobacco can only be purchased from tobacconists and these too close for siesta. Any type of medication such as headache tablets can only be purchased from pharmacies but on the plus side certain medication like asthma inhalers, antibiotics and strong painkillers can be bought over the counter without a prescription. Chino shops are very convenient and sell hundreds of popular products and day to day grocery items at very reasonable prices. They are also handy on Sundays as they are about the only shops that are open at all (different licensing laws I think) Finally, be aware that the products sold by the street vendors are cheap fakes and their copies of DVD’s often of poor quality and also illegal. Spanish holidays (Red Days) of which there are quite a few, can also be problematic for visitors as most shops are closed on these days except for a few supermarkets and ”Chino” shops that open until 2pm. 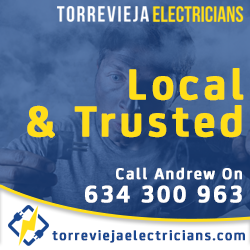 Be sure upon arriving in Torrevieja to ask a local if there will be any Red Days during your stay. 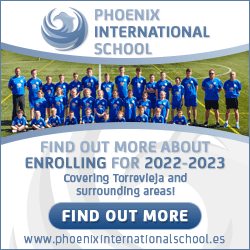 Also bear in mind, Torrevieja shopping can be problematic during the peak summer months due to a lack of parking, so try to find parking where you are going to do the bulk of your shopping such as supermarket or shopping complex car parks, and walk to anywhere else you want to go. 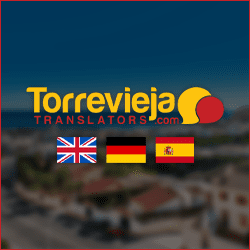 Find out more about Torrevieja Shopping on our dedicated site covering the main shopping centres, markets, supermarkets and more.